Oct. 28-30, Colorado Jam Camp Weekend: Jam and Band Skills for Intermediates. More info. A great way for experienced jammers, such as graduates of previous jam camps, and for anyone working toward being in an organized band, to brush up and elevate their skills. Band dynamics and backup, ear skills, musicianship, harmony singing, practice techniques, performing skills (optional), breakout sessions for instrument instruction. Sunday afternoon's Jam Camp Jamboree will showcase the jam groups! Dec. 2-4, Colorado Jam Camp Weekend. More Info. For 'closet pickers' and folks wanting to learn the ropes of bluegrass jamming and develop confidence in making music in a group. Jamming experience is not necessary. Easy tempos, mistakes expected! You need only to be able to change smoothly between a few chords: G, C, D, and A (bass players and fiddlers need to know which notes go with which chords). All levels of players are always welcome. For the more experienced pickers who might attend with a novice friend or relative... or for those only free on that weekend, Pete WILL keep you challenged! There is plenty a skilled player can work on in a slow jam, to develop important skills while lifting the level of the jam. Click here to find out about lodging, meals, how to register, and more. 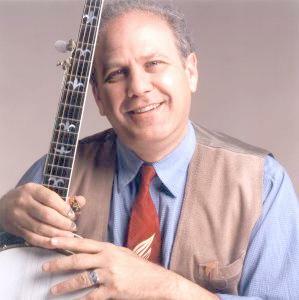 There is still room in Pete's January's Banjo Camps but don't wait too long -- space has been going fast!